Looking back on 2014, I can only feel satisfied with my accomplishments. Here is a quick recap. Four 24x30" prints were selected by the Alberta Society of Artists for a TRaveling EXhibition (TREX) around 'Symbolic Landscapes'. 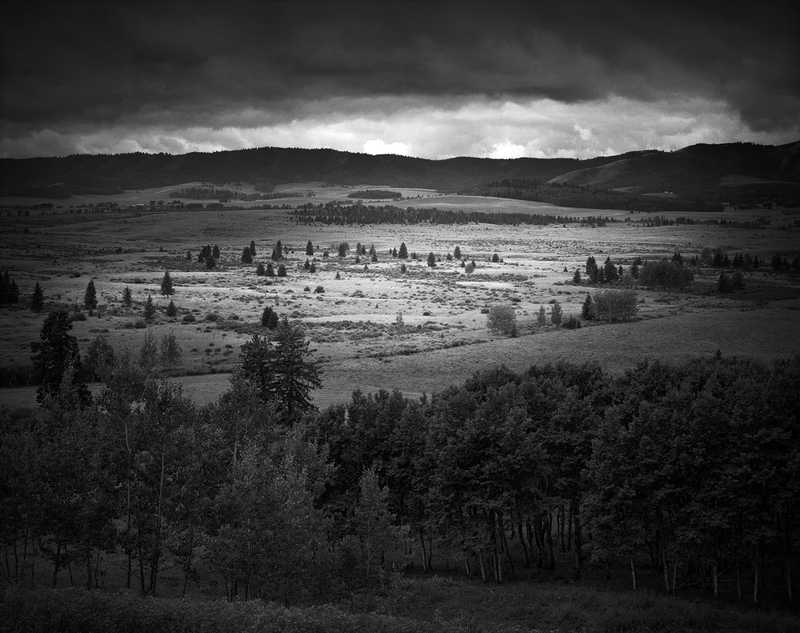 The exhibition shows work by Paul Zizka, Tyler Los Jones, Arianna Richardson, Brandy Dahrouge and Hannah Doersken. Our work will travel around Alberta for the next two years (started last September). The opportunity that was given to me to be a part of this exhibit makes me very VERY proud. In February I had my first portfolio review ever; which was a great, nervous, but also an amazing growing opportunity. I had a short interview in Black+White photography. One of the leading photo mags in the UK. My work was shortlisted in the FotoFilmic '14 competition, it received a Merit Award in the 2014 Black & White Magazine Portfolio Contest, and 2 photos received honorable mentions in the 2014 Stark Awards and 2014 Black and White Spider Awards. I also did more talks, presentations and workshops this year. I love doing these events. I wrote my first article for Extraordinary Vision no14 on how I found my vision. Looking back at it, I don't think I want to pursue any more writing. I found it rather stressful. I bailed on more magazine features and submitting more to galleries. My interest shifted inward throughout the year to better understand my own voice. I've met with quite a few togs this year. I met up with +Bernardo Möller , +Johan Peijnenburg , +Kevin Boyle , +Marc Koegel , +Grant Murray , just to name a few. It was a great year in that aspect. And I definitely printed more of my work this year. Both for myself as for clients. Using the 4x5 camera for all of my work this year was an interesting experience. I definitely photographed less than last year. I mean it resulted in less photographs. Looking on my hard drive I scanned 28 photographs this year. Yes you read that right, twenty-eight. But all of those photographs are good. Using the large format camera makes you very selective. Pilot Mountain: a photograph I only recently took. 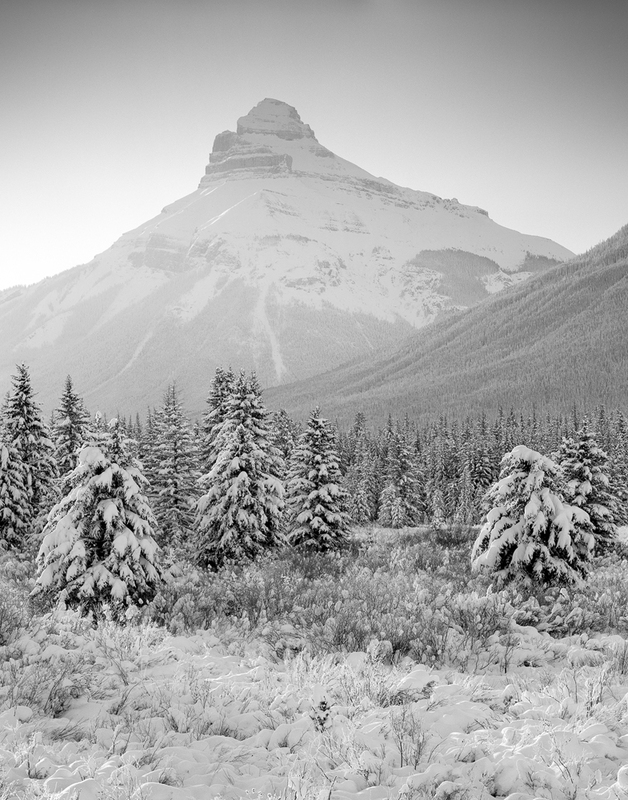 I was on a scouting trip with +Paul Zizka when I saw this scene. It was -35C when I made this negative. Challenging let me tell you. 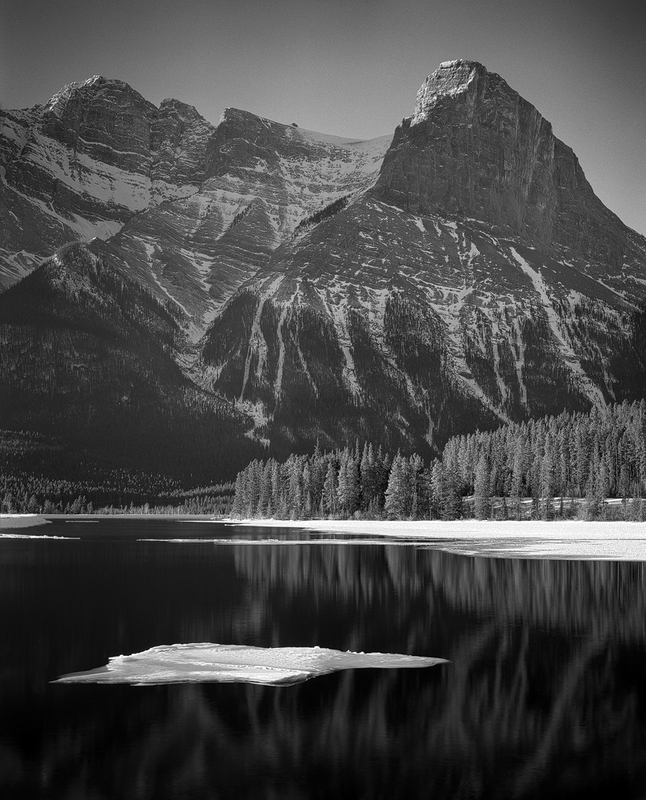 Ha Ling Peak and Ice, Canmore: one of the first photographs I took with the 4x5 where I felt comfortable using the camera. But I would be lying if I would not say that this was a lucky shot. I have a version without the ice too. That was the first photograph I took. I was packing up and I heared a loud crack. I look up and this sheet of ice is drifting from left to right in my foreground. I had to scramble and quickly mounted the lens back on the camera, I hoped the light had not changed, quickly looked over my settings and double checked the focus and managed to get 2 negatives. Talk about pointing and shooting with a 4x5! 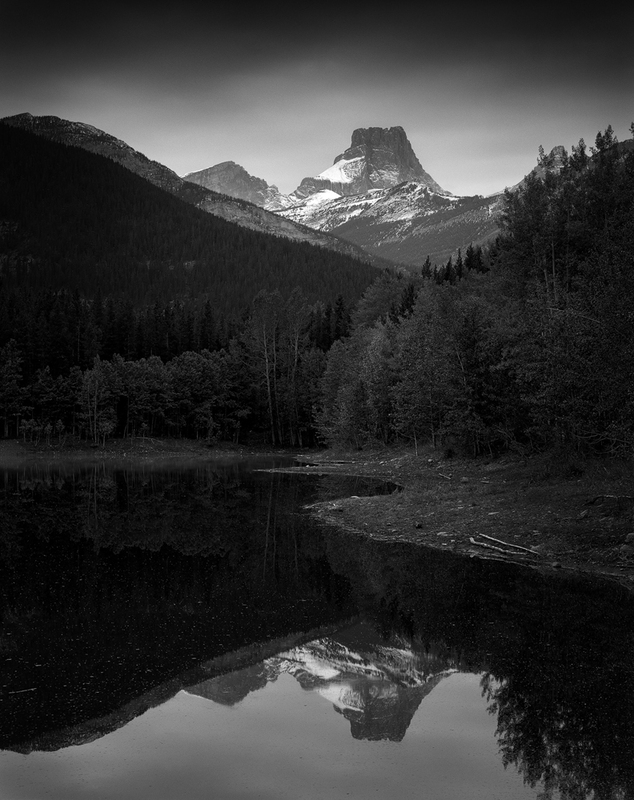 Fortress Mountain: taken on an early fall morning in September. This is Wedge Pond in Kananaskis. One of the local photographic hot spots. And that morning it didn't disappoint. I think about a dozen or so other photographers were all set up waiting for the light to do it's thing. 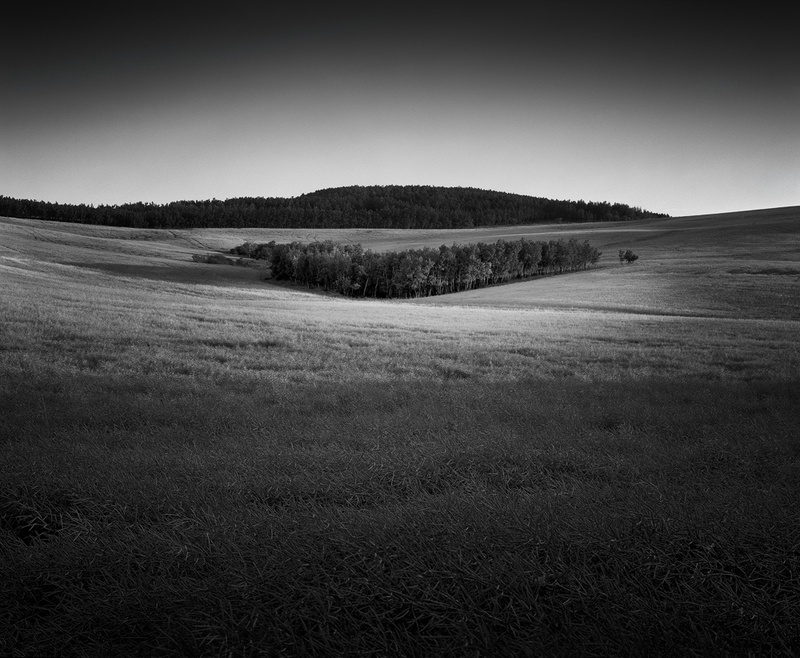 For colour photography it was a disappointing morning, but for B&W photographers like me it was perfect. I walked around the lake, making 4 photographs and packed up around 11. Canola and Trees: a photograph I made mid August. The Canola in the foreground was almost ripe. The warm evening light was low when it spotlighted the mid ground trees. I was just 10 minutes to the South West of Calgary. And it was dead quiet. 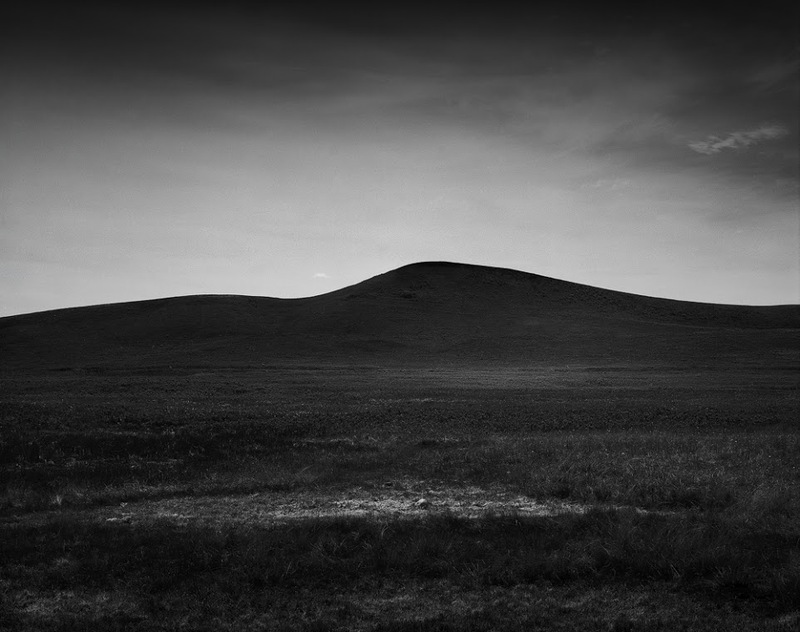 Hill: a random hill along the QE2 grabbed my attention in June. It wasn't until I was on the side-road that I noticed the bright coloured soil in the foreground. I found it compelling enough to make a zone system exercise out of this. 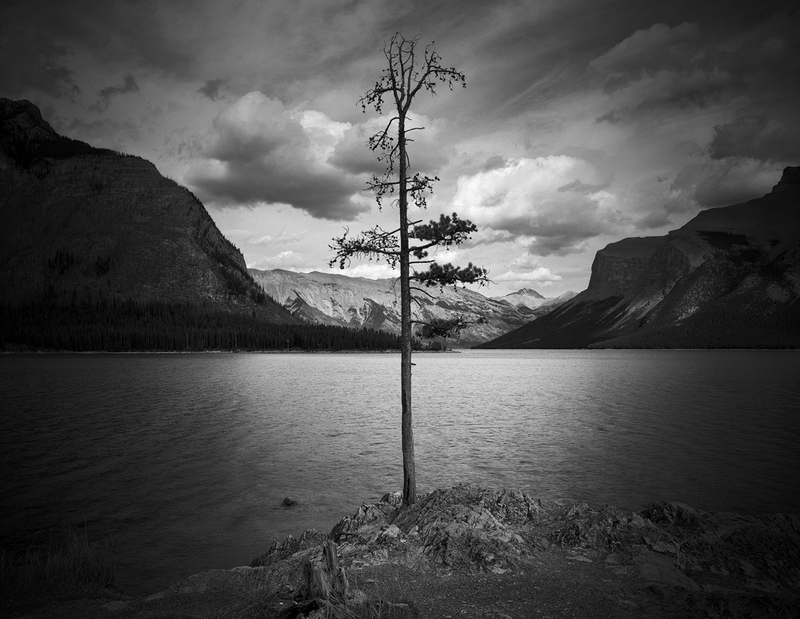 Lone Pine, Lake Minnewanka: a photo that was inspired by a +Paul Zizka night photograph "The Sentinel". I made this along side +Johan Peijnenburg in the beginning of September. I had set up the camera and was waiting for some people to clear the scene and the wind to die, when some random woman walked up to me and asked if she could photograph my camera. After I said yes to that she turned towards me and asked if she could make a photograph of me with the camera... Talk about weird. But I happily obliged, cracked a big smile and gave her my business card. 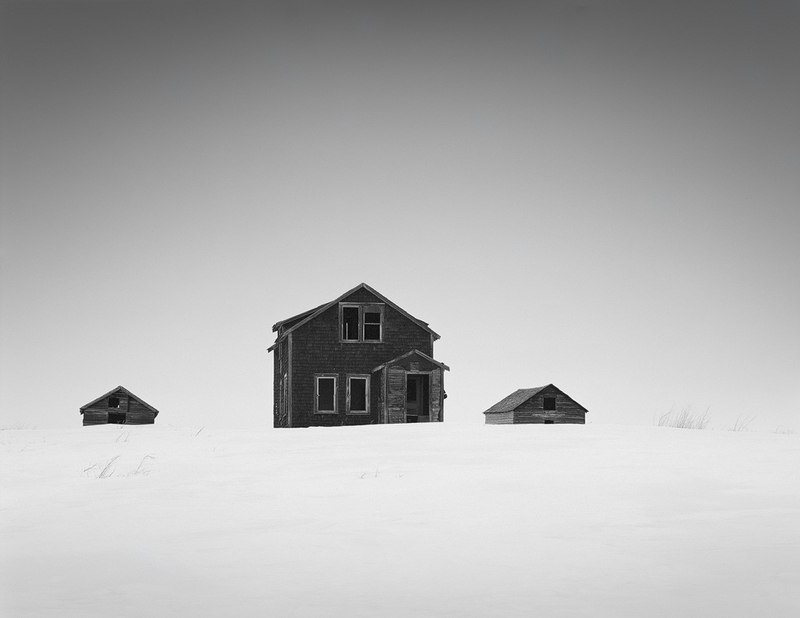 Homestead: the only photograph I made on the winter workshop +Marc Koegel and I set up in Calgary. I usually don't make any photos when I teach but this was such a happy accident, I couldn't resist. We took a wrong range road that day and literally bumped into this gorgeous scene. I looked at Marc, he looked at me, and we winged it and ditched our original location for this one. While I was setting up the camera I debated composition with four of our students and explained what I was looking for. I also took the opportunity to explain and demonstrate how I measured the light and how I use the zone system in my work. We are doing this workshop again in February. Check out the details of this workshop on the website. Turner Valley Foothills: I love exploring the foothills around Calgary. And I knew when I saw this vista that a photo was going to be made. It was a rainy day in late August. It was mostly the organization of this view that attracted me to make a photo. 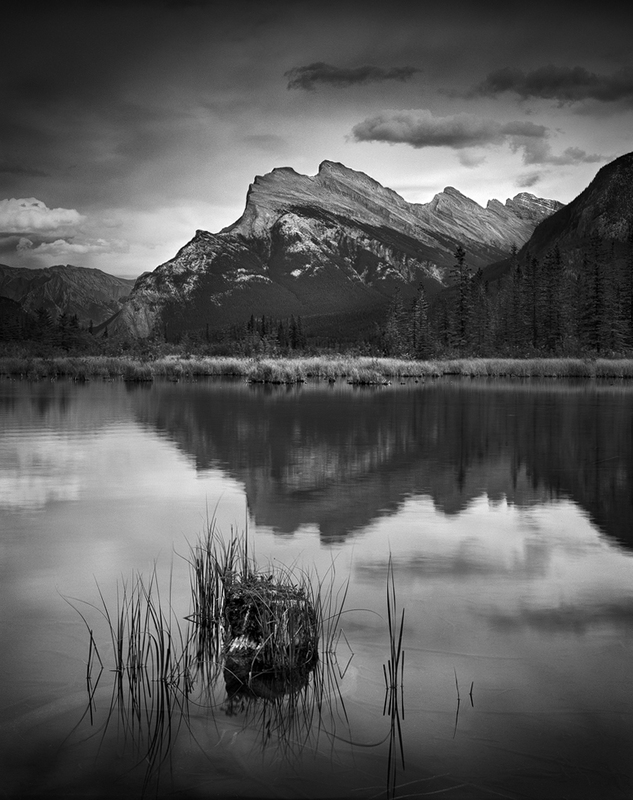 Mount Rundle and Stump: Such a classic view. It never gets old. Lonesome: Another typical August sky on the Prairies. Beautiful golden light was spilling over this tree when I initially passed it. I had to turn around to actually be able to use a little pull out just to its left to park the truck. Once I had set up the camera a big cloud rolled across the sun and the magic was gone. I waited and waited and waited some more until 45 minutes later I was finally able to make this photograph. There you have it. My year in review. In the next few weeks I will start writing down my 2015 resolutions. 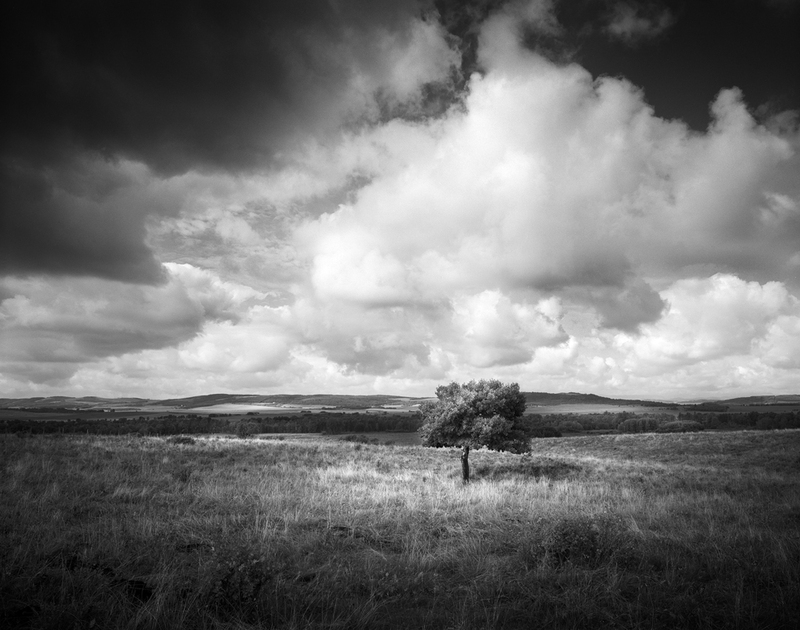 But one resolution that is already on that list is: PRINT IN THE DARKROOM AGAIN! Yes finally after about 2 years of debating, the first steps are being made to build my very own darkroom again in the basement. More on that later. Merry Christmas and a happy and inspirational 2015 everyone!